Wintersong by S. Jae Jones is a highly anticipated Labyrinth retelling about a girl whose sister is taken by the Goblin King. 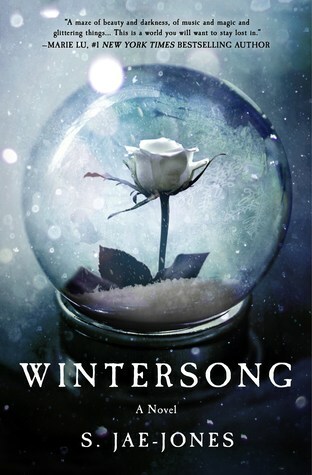 I enjoyed Wintersong, but it wasn’t my favorite, and honestly, didn’t really live up to my expectations. The first half was amazing! I loved it. But then once we reached the second half, it just wasn’t the same. The characters were acting completely different and nothing much happened. When Liesl was young, she played with the Goblin King but as she grew up, the memories have disappeared and she no longer remembers him, with the exception of her grandmother’s tales. But one day as nineteen year old Liesl is at the marker with her sister, Kathë, her sister is taken by the Goblin King. Liesl is frantic when she discovers that her and her grandmother are the only ones who remember Kathë. So, she goes on a journey underground to save her sister from being made the Goblin King’s bride and instead married him herself. Like I said about the second half, the characters just weren’t the same. I really liked Liesl in the first half. She was always there to stand up for and protect her younger sister, Kathë, and brother, Josef. I loved her fierce loyalty. At the same time, her complaints about not being beautiful like her sister and not having the same talents as her brother just really got on my nerves. One thing I absolutely hate in books is when characters try to get your pity, especially by saying they aren’t beautiful. By the second half, she just got much more annoying and acted very needy, which was very unlike how she acted at first. I wasn’t really a huge fan of the romance and the way it developed. It felt very forced. And at the same time, it didn’t seem like the Goblin King really loved her. I don’t know, it just felt like he was only saying that to try and get Liesl to do whatever he wanted. The setting was wonderful though. The beginning was set in Bavaria, which I absolutely loved. I would have liked to have seen more worldbuilding in the Underground though. It had the potential to be such a magical setting, but the author didn’t really capture it’s essence (does that make any sense? Probably not) with worldbuilding. I really would have loved to see more parts of the Underground. The only people down there we really met were the Goblin King and Liesl’s three maids, so for sure I would have liked to have seen more of the people and creatures down there. And the only places we ever really saw were the Goblin King and Liesl’s main quarters. From what they spoke of, the rest of the Underground seemed beautiful, but we didn’t get to see that. One of my favorite parts was for sure the writing. It was haunting, enchanting, beautiful, dark, creepy, and I loved every bit of it. While it was absolutely beautiful, I definitely think there could have been more worldbuilding and character development mixed in there. Other than that, the author did a wonderful job with her beautiful writing. 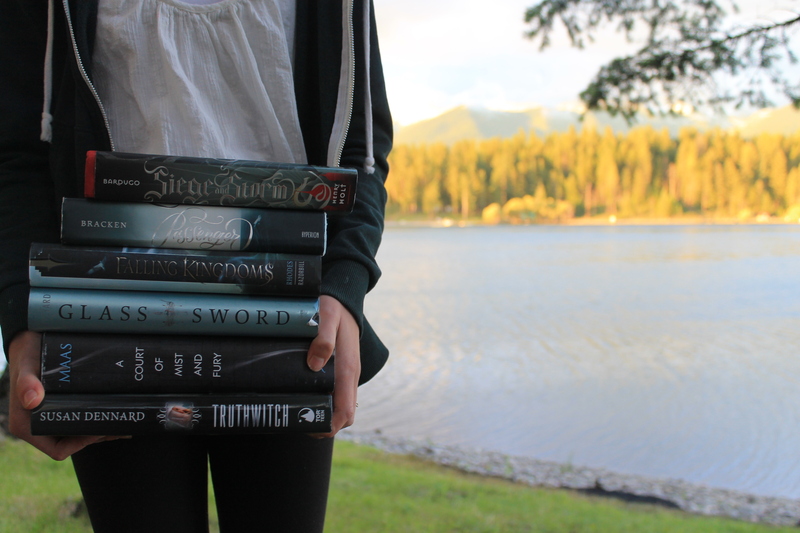 At first, it was impossible to put this one down. Like I said, as the story kept going on, it felt slower and slower. By the second half, not much was really happening except for Liesl whining and looking for sympathy. I wanted to see more action or I wanted to see the characters visit more places in the Underground. With all that said, I still really liked this book. The writing was amazing, and the author was able to perfectly capture the creepy essence of the story. Well, except for the worldbuilding. I felt like it lacked a bit there, along with character development. Overall, Wintersong was a creepy, haunting, and beautiful story that leaves you wanting more after that ending. The characters were not developed as well as I would have hoped and the romance was very forced. I’m not saying it was a bad book, just didn’t live up to my expectations. Aw I’m sorry this didn’t quite do it for you. This is one of my most anticipated releases and I keep hearing mixed things about it. Great review! I’m intrigued by this one! I’ve heard some mixed reviews, though. I’m sorry this didn’t live up to your expectations!